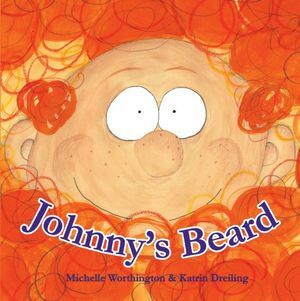 Johnny’s beard was his pride and joy. It was glorious and splendiferous. But this didn’t happen by itself: Johnny spent hours washing it, drying it and combing it. He loved the feel of his beard, keeping him warm and feeling the breeze blowing through it. One winter morning Johnny met a mouse, a twitchy mouse whose house was too cold for the winter. Johnny offered to share his warm home with the mouse, so the mouse climbed into Johnny’s beard for a ride. Then Johnny picked up a rabbit, a raven and a family of hedgehogs. His beard was getting to be a very busy place! He took them all home where they huddled by the fire. But how was Johnny going to house all these little critters? Where could they sleep and what did he have to keep them all snug and warm all winter? This is a fun story for children aged 4 – 8 years. The illustrations are colourful, lively and full of character. And who wouldn’t like a word such as “splendiferous!” My children liked this “funny story” so it comes recommended by experts!